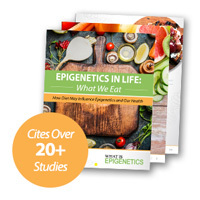 How Eating Zinc Could Affect DNA Methylation and the Immune System | What is Epigenetics? Zinc is a mineral that’s vital to our health and is involved in several aspects of cellular metabolism. According to the National Institutes of Health, zinc plays a role in a wide range of important processes like healing wounds, synthesizing proteins and DNA, and the division of cells. It’s even required to be able to taste and smell properly. Published in Molecular Nutrition & Food Research, recent evidence conducted at the Oregon State University also suggests that zinc affects the immune system and how it responds to inflammation. Zinc is naturally found in meat, shellfish, and other foods that are high in protein. Not only are oysters low in calories and chock-full of minerals and vitamins, they are known to contain some of the highest amounts of zinc. Not getting enough of this important mineral could lead to chronic disease involved in inflammation such as cancer, diabetes, and cardiovascular disease. Older adults are more likely to have these diseases because they’re more at risk for zinc deficiency. It’s also imperative to maintain a proper daily intake of zinc because the body does not have a specialized storage system for it. “When you take away zinc, the cells that control inflammation appear to activate and respond differently; this causes the cells to promote more inflammation,” explained lead author Emily Ho, professor and director of the Moore Family Center for Whole Grain Foods and Nutrition and Preventive Health at the OSU College of Public Health and Human Sciences. About 12 percent of individuals in the United States do not have enough zinc in their diets. According to Ho, as much as 40 percent of people 65 and older do not get the proper amount of zinc. Because older adults typically do not eat enough food containing zinc and their bodies do not seem to absorb or use zinc as well as younger individuals, they are more likely to develop zinc deficiency and inflammation-related disease. The team of researchers, including co-authors Carmen Wong and Nicole Rinaldi from the College of Public Health and Human Sciences, attempted to understand the interaction between inflammation and zinc deficiency. In their study, they focused on an in vitro cell culture system and utilized an aged mouse model to characterize the activation of the immune system and DNA methylation profiles that might result in the increased proinflammatory response mediated by an insufficient amount of zinc. They also looked at the different zinc levels in both old and young living mice. They found that older mice had lower zinc levels, which was linked to increased chronic inflammation and decreased DNA methylation of IL-6. In elderly people, they also detected a decrease in IL-6 methylation in their immune cells. In light of these results, Ho said the experiments point to a connection between not getting enough zinc and increased inflammation that occurs as one gets older. Gaining knowledge of the impact zinc has on the body and understanding potential underlying epigenetic mechanisms like DNA methylation could be important for figuring out whether dietary recommendations for zinc intake need adjustment. For women and men, it is suggested that 8 and 11 milligrams of zinc be consumed every day, respectively. According to Ho, the recommendations for daily zinc intake may need to be adjusted when applied to elderly individuals to ensure they are receiving a sufficient amount of zinc. Determining whether someone is zinc deficient is difficult because there are currently no good clinical biomarker tests. Not only is not getting enough zinc detrimental to your health, but consuming too much zinc could lead to other issues and may even interfere with other minerals. It is suggested that daily zinc intake should not exceed 40 mg.
Future research could focus on why exactly older individuals do not absorb zinc as efficiently as younger people as well as the underlying mechanisms that affect zinc absorption. Ho said that additional research is needed in order to more fully understand how zinc functions in the body. National Institutes of Health. Zinc – Health Professional Fact Sheet. 5 June 2013. Oregon State University. Study: Zinc deficiency linked to immune system response, particularly in older adults. News and Research Communications. 23 Mar 2015.